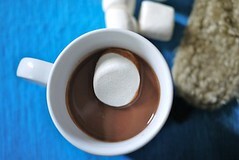 Recently swissmiss posted about the fabulous food blog 'One Hungry Mama'. Written by a Brooklyn mom, it features easy healthy recipes that your kids will actually like. Well, it turns out you don't have to be a kid to like the recipes. I immediately found two that made me drool: Nutella Hot Chocolate and Nutella Swirled Banana Bread. And since it is a rainy cool fall day today in New York City, I think I will try them both out. Can't wait! 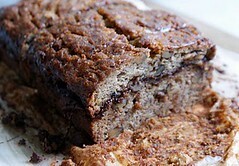 Read 'One Hungry Mama' here, and get the recipes for hot chocolate and banana bread here and here.